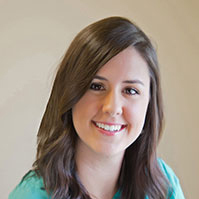 Rachel Stewart, LMHC, RPT graduated from the University of Central Florida and is a Licensed Mental Health Counselor and Registered Play Therapist providing treatment to children with mental health and behavioral concerns. She specializes in the treatment of children with a history of sexual, physical, or emotional abuse. Her passion is to provide safety education to children and their families. Rachel lives happily with her husband and family in Florida.